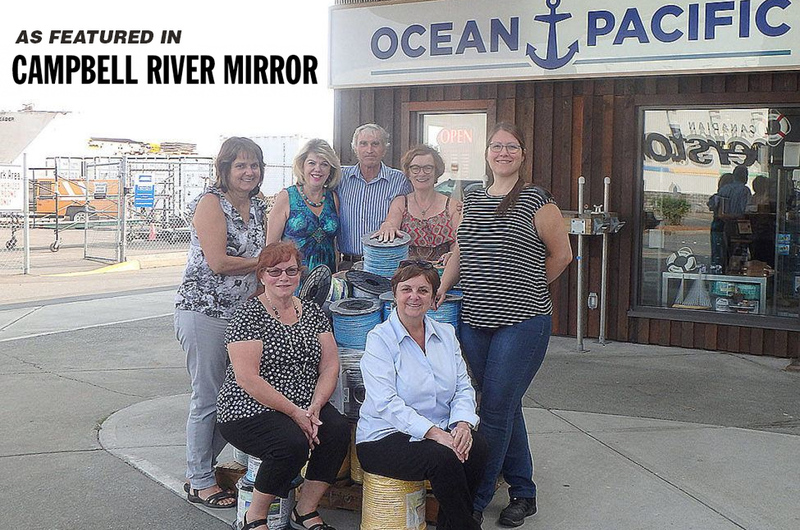 Ocean Pacific Marine recently made a donation to the Campbell River Hospice Society which provides support and healing for those who are terminally ill and the family members of those grieving the loss of a loved one. Lynn Wood, Hospice executive director, says the Hospice Society is grateful for the support received from Ocean Pacific Marine over the past three years and that with generous business supporters like them, Hospice is able to keep services free for those who need them. Since 2015 over $30,000 has been raised for the Hospice Society through three silent auctions at Ocean Pacific’s annual marine shows held in April each year. Next Next post: WE HAVE EXTENDED OUR SHOW DAY SPECIAL PRICING!